*THIS POST WAS UPDATED 8/3/2018 TO INCLUDE A SAFE DECAF ALTERNATIVE! One of the number one questions I get asked is- but how bad is caffeine, really? I can drink at least a cup of coffee a day, right? 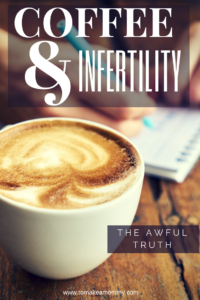 Well, I’m gonna give you the skinny on all things caffeine and coffee related to fertility, infertility, pregnancy success, miscarriage, and live birth rates in this post. 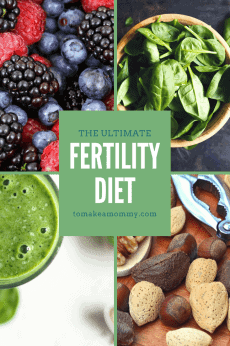 Here’s the bottom line up front– if you are 25, super healthy, and have just started to try to conceive, cut your caffeine intake down to under 200 mg a day – that’s about one Starbucks latte, or two regular drip coffees. But, if you are taking the long path to baby- whether it be from age, health issues, or infertility diagnoses- the best thing you can do is completely and 100% cut out coffee and caffeine. No safe level of caffeine has been proven for fertility or pregnancy. The same goes for your hubby. It’s up to you to decide where you are going to fall in between zero and 200mg of caffeine a day. Let me try to convince you to go closer to zero. I chose to completely eliminate caffeine (and all coffees and soft drinks) among the other 78 lifestyle changes I made. And- I have a 3 year old and a new baby to convince me it was worth every second of not drinking coffee! While large amounts of caffeine (categorized as more than two cups of coffee a day) are clearly linked to reduced fertility, especially in cases of tubal disease and endometriosis, as little as as one cup of coffee a day is linked to increases in cycles until conception. In fact one study showed that those who consumed as little as one cup of coffee a day were half as likely to become pregnant, per cycle, than those who drank less. So, if you are taking the long route to baby anyway, do you really want to risk making it even longer just because of your coffee habit? Remember- you don’t have to give it up forever!! You can do anything for a short period of time. After your procreative years are over, you can go back to drinking coffee as normal! Maybe you aren’t ready to give up your daily cup of joe to get pregnant sooner. Well, wait til you read this! The real scary thing about caffeine intake is the link to increased miscarriage (“spontaneous abortion” is the heartless technical term). The research is pretty clear that 200 mg or more of caffeine intake during pregnancy is associated with an almost doubling of the chance of miscarriage. Further, the same research says that “an increasing dose of daily caffeine intake during pregnancy was associated with an increased risk of miscarriage, compared with no caffeine intake.” This is a very large, well-respected study, and this is where the recommendation for keeping caffeine intake under 200 mg during pregnancy came from. However, when you read the study carefully, you see that they DIDN’T TEST at lower levels of caffeine consumption. They only tested for zero mg caffeine, 0-200 mg caffeine, and 200+ mg caffeine. What they saw was that both caffeine consuming categories were at an elevated risk for miscarriage, but the 200mg+ per day group had a LARGE and statistically significant DOUBLING of miscarriage risk. So that is what they report. 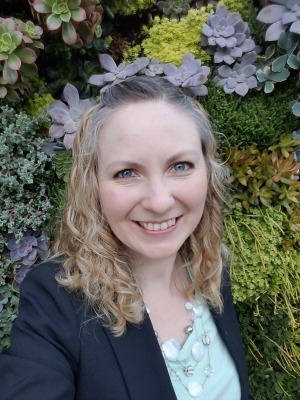 This study does NOT prove that lower levels of caffeine consumption are safe, and I chose to avoid caffeine completely once pregnant. Now, this research is on caffeine consumption DURING pregnancy, but we actually have a really cool study with even more frightening risks for caffeine consumption BEFORE pregnancy. For women who reported “regular caffeine intake” of 0-2mg per day, there was a 43% live birth rate. For women who reported “regular caffeine intake” of 2-50 mg per day, there was a 22% live birth rate. For women who reported “regular caffeine intake” of greater than 50 mg per day, there was a 14% live birth rate. If those numbers don’t convince you to kick the coffee habit, I don’t know what will. Now, after I read this study, I called up my dad who is a brilliant sociologist and statistician and I asked him if I was understanding these results clearly, and if so, why they hadn’t been more widely reported. He confirmed I was understanding the numbers clearly, but made a very good point. Although the researchers control for many variables such as smoking, alcohol use, age, and education, they DO NOT control for things like diet, acupuncture, yoga, etc. SO, there is a chance that the high success rate of women with 0-2 mg of regular caffeine intake per day is because these are the women who are already doing ALL THE THINGS. He also pointed out that this is a standalone smaller study, and that the medical community likes to have dozens of studies confirming the same results before they recommend anything. But here’s my thought- if you are struggling with infertility and you see data like this, how can you possibly keep drinking coffee? I am sorry to be the one to tell you this, but it turns out that your morning cup of coffee is also your morning cup of fertility-harming pesticide. Gross! Coffee is some of the most heavily- pesticided foods, and pesticide has been shown to be linked to delays in conceiving, harm to embryos, and spontaneous miscarriage. Ick! If you are going to drink coffee, make it organic for sure. Unfortunately, I have bad news about decaf coffee as well. Most decaf coffees go through a process with chemical solvents to remove the caffeine- these solvents are not good for your health. Further, when the coffee is stripped of caffeine, the process also strips any antioxidents in the coffee as well. Making the drink even less healthy than a fully caffeinated cup. So what’s was my final conclusion? Just ditch it. Ditch it all. My baby was more important. I avoided everything, even decaf. BUT I have new information since trying to conceive. . . there are now readily available special Swiss Water Process Organic Decaf options from many, many brands. This way you get the 2mg or less of caffeine AND no pesticides AND no toxins from the chemical decaffeination process. I see no reason for you not to use one of these decaf coffees, and in fact, I now drink this one at home. Below I’ll recommend how to brew it up in a non-toxic way. The Good News: You Feel GREAT After You Give up Caffeine! Okay– Honestly, you feel great about a MONTH after you give up caffeine completely. Before that you’re pretty much dragging and miserable as your poor body detoxes. When I started trying to conceive I was a 3 latte a day kind of girl. In between lattes I would fall asleep at my desk when the caffeine would wear out. I had one brutal month of detoxing from caffeine and have felt incredible ever since. That was FOUR years ago. Since then I’ve gotten pregnant with a miracle baby (read all the other things I did to beat infertility and get pregnant here), night-nursed him for TWO years, worked a regular job, AND blogged, and you know what- I’m never exhausted! Do I get tired? Sure, whenever I’ve had less than 4 hours of sleep I feel tired and ill the next day. But otherwise, I pretty much have energy throughout the day. And I NEVER have the “crash” in between coffees where I can’t function without a caffeine hit. The thing is that caffeine taxes your adrenals. It gives you ups and downs, highs and then crashes, and it just tires your body out. You become dependent on it. It is literally, addictive. When you completely kick the addiction your body remembers how to be in balance on its own! Which, is exactly what you are seeking anyway for fertility! Anna, I’m sorry, but I can’t give it up! So, if you can honestly say, “Yeah, I’ve read all this, but I just can’t give up my one cup of coffee a day.” It’s your life and your choice. Maybe you aren’t facing the awful odds I was so you aren’t yet ready to do EVERYTHING you can to get pregnant. But, please, please, drink organic, consider decaf, and buy the Swiss Water Process type of Decaf! Also, use a glass drip setup that eliminates the hot water touching any plastic which could leach fertility harming BPA or phthalates into your coffee. You also need to filter your coffee through paper to eliminate the cholesterol-raising compound that coffee has. The set up below is what my husband uses and loves when we aren’t actively trying to conceive (at which point he gives up caffeine as well). Okay! You’ve convinced me! I’m ready to give it up! What can I drink instead? Great question, dear reader! The great news is that there are plenty of options. My favorite morning hot beverage is Dandy Blend which is a delightful beverage made from water-soluble extracts of roasted roots of dandelion, chicory and beets, and the extracts of barley and rye grains. It is caffeine free, and gluten free. They even have an organic option. 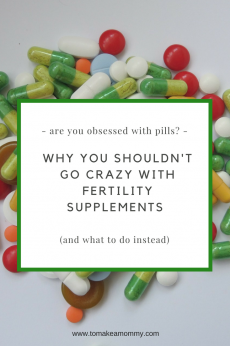 It is actually considered a fertility BOOSTER in many circles. There are some other herbal coffee alternatives, but I have only tried Dandy Blend, and since I love it I haven’t branched out. Some women like to drink the fertility herbal infusion hot in the morning, but I prefer it cooler and in the afternoon. You might want to drink an alternate fertility friendly hot tea like rooibus. There is this absolutely amazing chocolate beverage that you brew in a french press called Crio Bru. It has less caffeine than decaf coffee, its organic, has zero sugar, and when I drink it my whole body relaxes. I love it. It comes in different roasts- light, medium, and dark, with cocao beans from different countries. 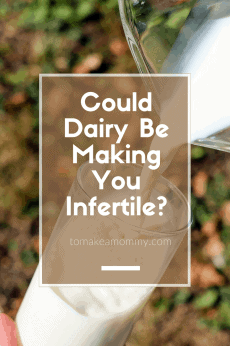 I’m very guilty on this blog of focusing on female fertility- that’s because that is what I had/have to do in real life. But, after reading the research, I finally got my husband to give up coffee too! 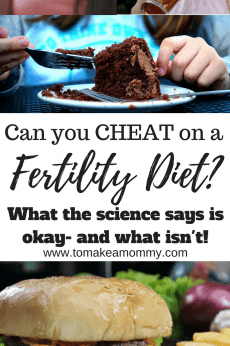 Here’s a quick review of the evidence: While most studies evaluating sperm quality show that it takes 3 cups of coffee a day to tank those little swimmers, studies on IVF show that the lower the male intake the higher the chances of success. For example, drinking less than one cup of coffee a day more than doubles the rate of IVF success compared to men who drink 2 or more cups per day. Why risk it? Ditch it while you are trying, and he can celebrate your positive pregnancy test with a delicious cup of joe! If you visit my Instagram account you can definitely find pictures of His and Hers Dandy Blends :-). Are you ready to ditch the caffeine?? DO it!! Woohoo!! Here’s a link to a helpful chart with amounts of caffeine in different foods and drinks, in case you wanted to know! Thanks for this Anna. How about Chinese herbs and organic hot cacao drinks? I don’t know of any chinese herbs that have caffeine in them, but I am not a practicing acupuncturist or herbalist! I would think you would be fine with whatever your acupuncturist prescribes for you. Organic hot cocoa only has about 5mg of caffeine in it, but I would personally avoid that much except for a special occasion. Even then, the bigger problem with hot cocao is that you are going to want to sweeten it with something and the sugars could tank your egg health. Try the dandy blend and see if you like it! Hi Anna, thank you so much for enlightening us! It will tough but I’m giving up coffee, starting now! How about tea? Is that allowed? Black tea, green tea, etc. Unfortunately all the black, green and even white teas have caffeine in them. I avoid them all completely when TTC and stick to herbal teas. But, its all a matter of your risk tolerance! If you love your tea, see if you can do a decaf black tea as a treat instead of a regular beverage! Thanks for your answer Anna! Can you provide a link to the study? Thanks. Thanks for this helpful info! I’ve been (almost) caffeine free since last April! However, I have been drinking some decaf too so it looks like I still have progress to make. I’ll definitely keep trying! 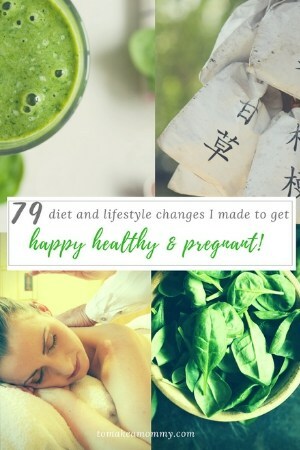 My husband and I are trying to be as healthy as possible so we can hopefully conceive soon. 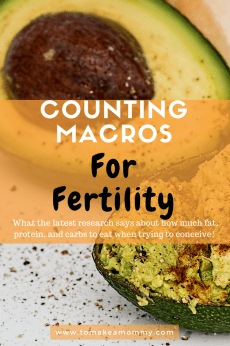 I’ve decided to start a blog to help keep me accountable to clean eating and also as a way to release my thoughts around trying to conceive because it has definitely been stressful! Glad you are enjoying the blog!! Love that you have started a blog- and it is so pretty! I love the idea of using it to keep yourself accountable :-). Best of luck with the blog and baby dust!! Sooo helpful! Thanks so much!! Yay!!! Hope you are feeling fantastic! !